Taking up sailing as an agent for bonding with your little one is a brilliant idea. 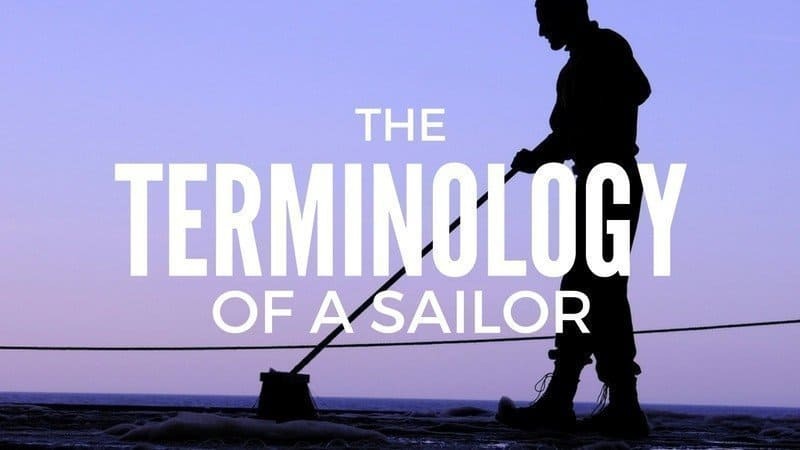 But to embark on such a journey you’ll first need to know a few basic keywords every upstart sailor should have in their lexicon. Being an astute teacher means that you understand sailing jargon. Owning a yacht will only get you so far without being able to describe in great sailing detail what you just purchased. Here are some of the key sailing terms for all the newbies out there wishing to turn their young ones into true pirates. In your nautically illiterate mind, you just pronounced bow the same way as a bow-tie. Such a faux pas would have fellow sailors flying their spinnaker sails just to get away from you. The bow – pronounced baow (like ow!, cow, now, or the sound a dog makes) – is simply the front of the ship. Not to be confused with a coastal city or town where ships may take in or unload supplies, nor with a pleasant fortified wine, the port is the left side of the ship when facing the bow. The vagueness of directional designations such as left and right have led the sailing hierarchy to clearly define areas of the boat. In your early days of nautical exploration, you might feel tempted to refer to yourself as the star-a-board the ship. Be warned: seasoned sailors have heard just about every sailing pun there is. Luckily for you, along with introducing your child to sailing you’ll be able to bequeath oodles of sub-par sailing puns. Apart from being the victim of an infinite amount of guilty pleasure puns, starboard is the right side of the boat if on deck and looking at the bow of the ship. The rudder is the flat piece of the ship located underneath the boat that is used to change the direction of the ship. The rudder is controlled by the steering wheel or a long, usually wooden pole. Rudders are typically located at the stern or aft (back) of the ship. This term should be fairly self-explanatory. Windward refers to the direction the wind is blowing. Ideally, you’ll be sailing windward towards your destination. Leeward is the arch nemesis of windward. If you’re sailing leeward you’re going to want to change direction because you’re sailing against the wind. Unless you’re sailing a dinghy such as a 420 or laser you probably don’t need to know what capsize means. For the most part, capsizing occurs in dinghies – small racing boats. Capsizing is when a boat flips over to the point where the sails are now in the water. But not to worry, these boats are built to capsize. Learning how to properly flip one of these is one of the first things sailors learn. Dinghies are typically operated by adolescent sailors. Boats fit into two categories: monohull and multihull. A hull is the part of the boat that is submerged in water. Multihulls, for the most part, consist of just two hulls and are widely seen in the form of a catamaran. Monohulls tend to be more popular and are thus recommended as the better boat to start off on when learning to sail. Now that you’re equipped with the basic terminology you can get started on your newfound mutual hobby. You make a good point about being a student before being a teacher. Learning the lingo makes you better equipped to guide a little one appropriately, giving them essential and fun tools to share with others.